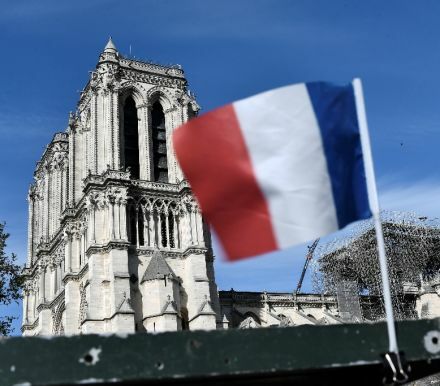 France's culture minister pleaded Thursday for an end to the controversy over the 850 million euros (950 million dollars) pledged to restore Notre-Dame cathedral, which critics have suggested would be better spent on the poor. Some of France's biggest companies and billionaires, including luxury goods tycoons Francois-Henri Pinault and Bernard Arnault, have pledged amounts of 100 million euros or more to rebuild the landmark after it was gutted by fire on Monday evening. The vast sums have drawn fire in a country where wealth inequality and the plight of the low-income households have been highlighted during five months of demonstrations by "yellow vest" protesters. It could potentially change everything. Kylie Jenner is giving off major “vacation vibes,” posting throwback bikini pics from a recent vacation with former BFF Jordyn Woods. The “KUWTK” star shared a few #tbt selfies late Wednesday evening wearing a red bikini. We couldn’t help but notice that’s the same bathroom she was posing with Jordyn in before the cheating scandal […] The post Kylie Jenner Shares Throwback Pics From Vacation With Jordyn Woods appeared first on The Blast.